Mumbai is known for its charming and quaint cafes, where you can sit and lose yourself in a good book, a great cup of local coffee and some excellent food. The city has a very old café culture. 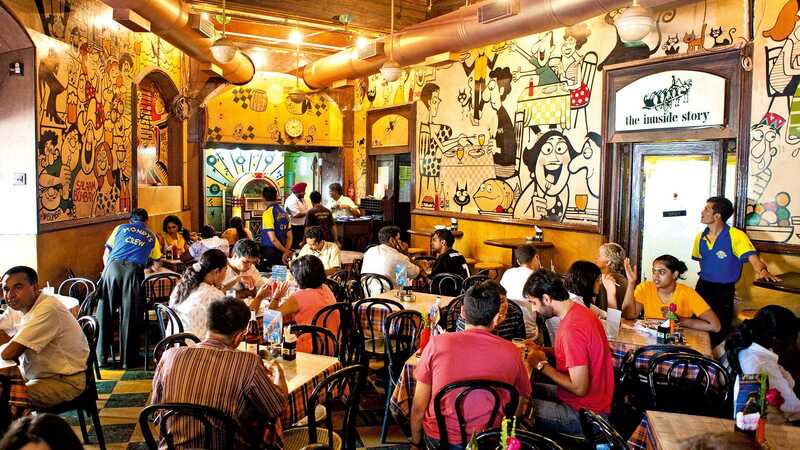 These old-world cafes are tucked away in various parts of Mumbai and are known for their distinctive ambience and delectable food that is quite different from conventional cafe chains such as Costa Coffee or Starbucks. Here’s a list of some of the best cafes in Mumbai. This café, located in the Fort area, is highly recommended for their Parsi and Continental menu. Cafe Universal has a nice ambience and warm, friendly staff. You must try the onion rings, vegetarian sizzlers, steak bun with cheese, chicken burger, beef burger and chicken wings. This place is known for its excellent food, great value for money and is definitely worth a visit. This quaint cafe is easily one of the most frequented joints for people in the Fort area. Kala Ghoda café is packed with people through the day. Visit this exquisite café for some delicious roasted chicken, carrot cake, waffles, chocolate cake, hot chocolate or cappuccino. This cosy café is a great place to hang out with friends. Even though the service is quick, the place is small, ever so often one has to wait to get a table. Café Mondegar is a well-known landmark in Colaba. The inner walls, ceiling and the entrances of the café are adorned by the famous Indian cartoonist, Mario Miranda’s murals and cartoons. This adds to the cosy and awesome ambience of the place. The café has a great selection of Italian, continental, Chinese and Indian cuisine with courteous and efficient staff. Le 15 is known to serve some of the yummiest macaroons and the finest coffee. This European-style café, done up in white and black, has very comfortable seating and interiors and friendly staff. Apart from the macaroons, enjoy the waffles, coffee, hot chocolate, hummus and pita, burgers and croissants. With its lovely location, cosy décor and prompt service by friendly staff, Kitab Khana is a great place to read a book and devour some yummy food. This is a vegetarian joint with plenty of options. A word of advice – come early as they tend to get crowded during lunch hours and they do not take reservations. The menu has a lot of options like waffles, salads, cappuccino and pasta. Around since 1871, the Leopold café is another iconic landmark located in the Colaba Causeway area. This hip and happening cafe/bar serves cocktails, Chinese, continental, and Indian cuisine. Leopold Café is a cosy joint with friendly and courteous staff and quick service, although you might have to wait for a table on weekends. A great place to chat and chill. With the breezy and beautiful backdrop of Mumbai’s Nariman Point, Café at the NCPA is a classy place with a splendid ambience. The Café has an excellent array of food and quite a few live stations. The menu here is an interesting mix of American, Asian, Parsi and North-Indian. Overlooking the Arabian Sea, this all-day café is a great place to catch-up with friends. The Mockingbird café is a comparatively new café in South Mumbai. 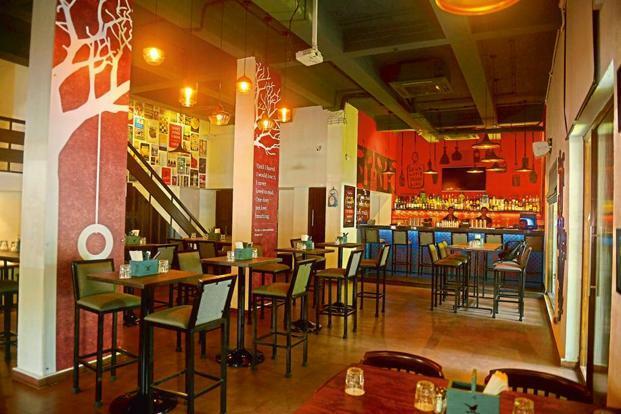 This is a cosy place, with lovely interiors and a mix of European, Thai and Indian cuisines. Service is prompt with friendly staff. They have an impressive breakfast menu. From soups, salads, stone baked pizzas, pasta, chicken chorizo, and an interesting mix of cocktails, this place has it all. 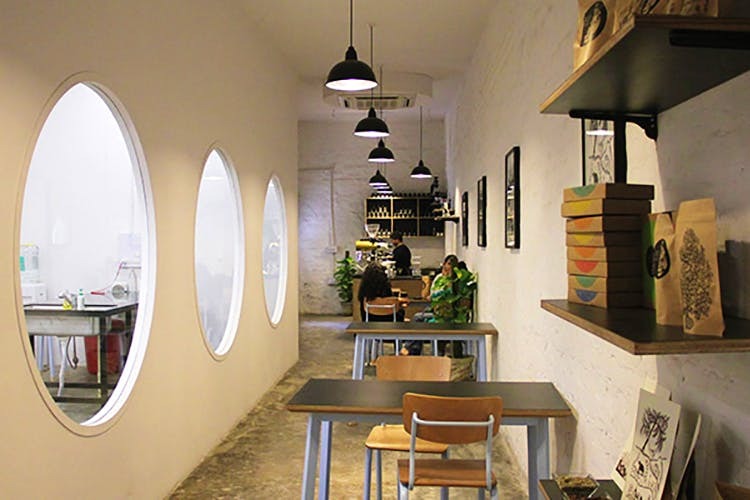 The Bagel Shop, a small café with a comfortable and peaceful atmosphere, is located in Bandra. This place is known for its low-gluten bagels, delicious fresh juices and Irani chai. The Bagel shop is famed for its bagel sandwiches like the chorizo bagel sandwich, with sausages from Anton in Goa. Apart from this, the café also offers basics like coffee, shakes, salads, pasta and yummy tea-time cakes. On most days, one can find writers with their laptops typing away, or people curled up with a book and a cup of coffee beside them. It is a pleasant sight to see people relaxing and indulging in what they are passionate about. A cosy café with beautiful, rustic interiors, Birdsong Café is a lovely joint with a peaceful ambience. Apart from pasta, lasagne, coffees, milkshakes, kheema pav, they also serve gluten-free pizza with vegan cheese on request or risotto made with millet, quinoa or amaranth. Known for their organic food, the café offers a lot of healthy options for vegans and the health conscious. La Folie Lab has many branches all over Mumbai. The menu has everything from healthy breakfasts to sinful desserts and some really great coffee. 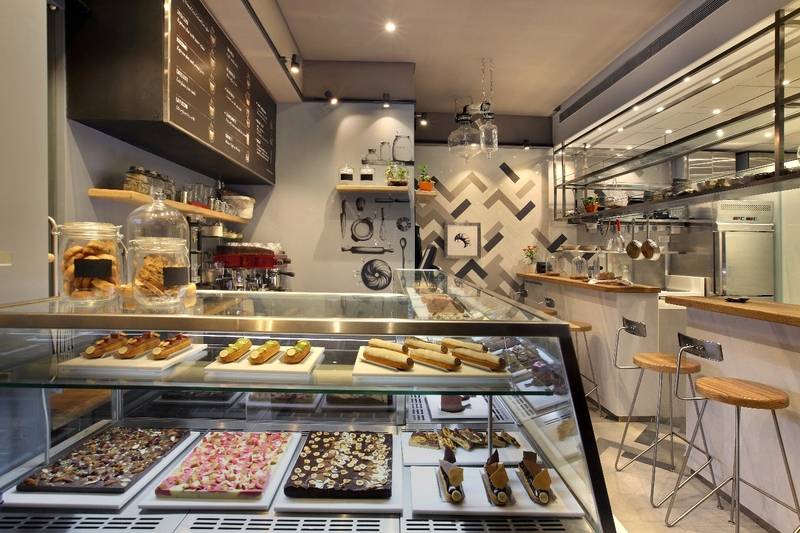 With simple yet cheerful interiors, La Folie Lab is well known for its desserts. The place has cosy, comfortable seating and very friendly and courteous staff. Apart from the wide array of yummy desserts, try the pesto pasta, eggs benedict, and scrambled eggs with mushrooms, spinach and parmesan cheese. The Jamjar Diner is a place with a cosy ambience, peppy music and board games. 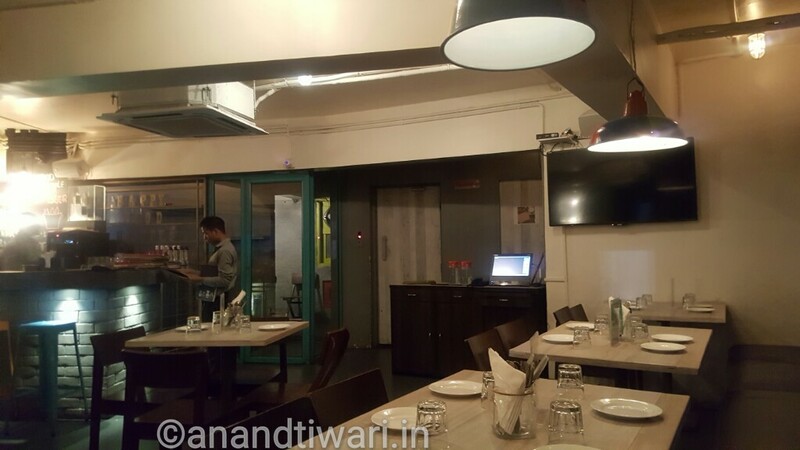 With efficient and prompt service, the Jamjar Diner has two outlets in Mumbai. The staff is courteous and offer great recommendations regarding the food. One can look forward to an amazing choice on the menu, including pasta, burgers, waffles, salads, coffees, mojitos and more. The Fat Man’s Cafe & Grill has two outlets, in Bandra and Juhu. It offers delectable continental and Italian cuisine, with great music and excellent ambience, making it a big hit with youngsters. The budget-friendly menu has a wide variety including soups, salads, sandwiches, pizzas and desserts. The Mac n Cheese pizza and the Pumpkin Ricotta Ravioli are highly recommended. Known as India’s new, successful and popular coffee company, Blue Tokai offers freshly ground coffee varieties from estates across the country. Enjoy a range of fresh brews and awesome baked treats. The joint offers you a great coffee experience with simple and elegant interiors. Relish the butter Croissant, Custard Cruffin, Cappuccino, Almond Croissant, Chocolate Croissant. This is one of the best cafes in Mumbai. 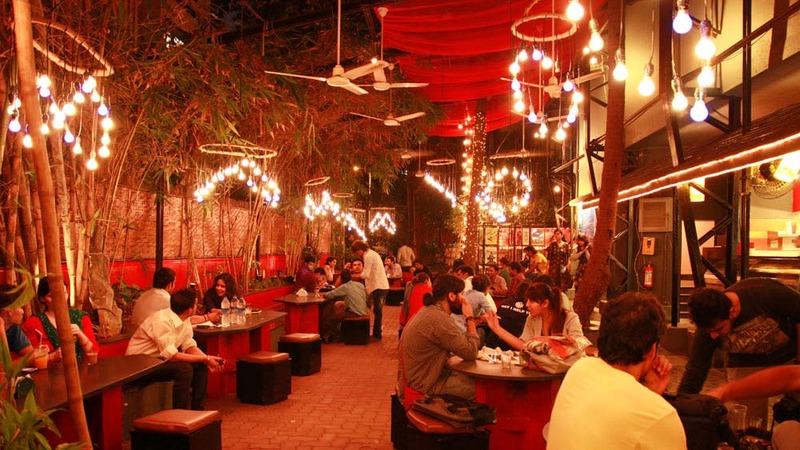 Prithvi Café, located in Juhu, is part of the legendary Prithvi Theatre and lives up to the reputation of this great institution. 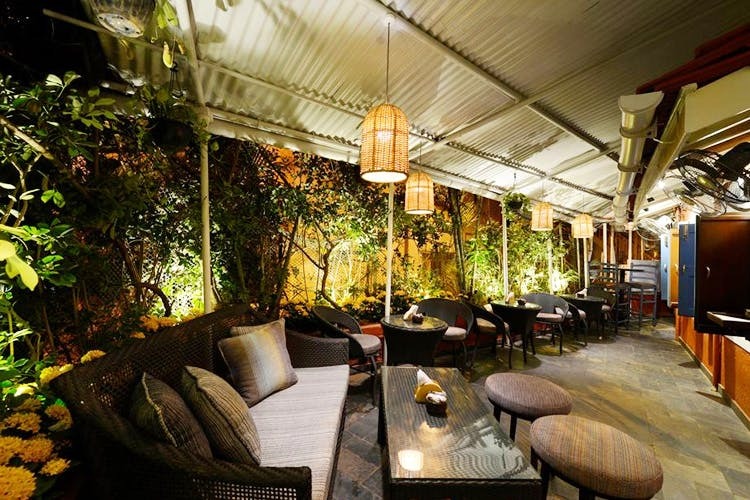 The beautifully coloured furniture and outdoor seating definitely help build the ambience of the place. Prices are reasonable and the menu has an assortment of very palatable food. Visit this place for some Suleman Chai, freshly baked snacks, the buttery paranthas and biryani. Sangrias are served on Sundays. To make the ambience even more scintillating, there is a flautist who performs in the evenings. A charming place for book lovers, Leaping Windows initially started off as an online comic book library. This place has a cosy basement for people who like to lose themselves in books. There is a small, friendly and warm place upstairs for food and coffee lovers. Aesthetically decorated walls with cartoons, comfortable outdoor tables and pleasant ambience are the highlights of this place. If you feel like catching up on some reading, head to the Leaping Windows, select from their remarkable collection of books and enjoy one of Mumbai’s best coffee experiences. Combining wholesome food with delicious coffee, Grandmama’s Café is the place to go to when you are missing a home-cooked meal. From awesome ravioli to shepherd’s pie, Kheema pav and Rajma Chawal, Grandmama’s Café has something for everyone. This all-day cafe boasts of vibrant interiors, very courteous staff and some excellent food like barbeque chicken, pizzas, mocktails and risottos. The café opens at 8 am with an excellent all-day breakfast menu of eggs, cereals, freshly baked bread, waffles and cold press juices. We hope that this list of the best cafes in Mumbai has been helpful. If you have any recommendations or additional information to add to this list, please do drop a note in the comments section!